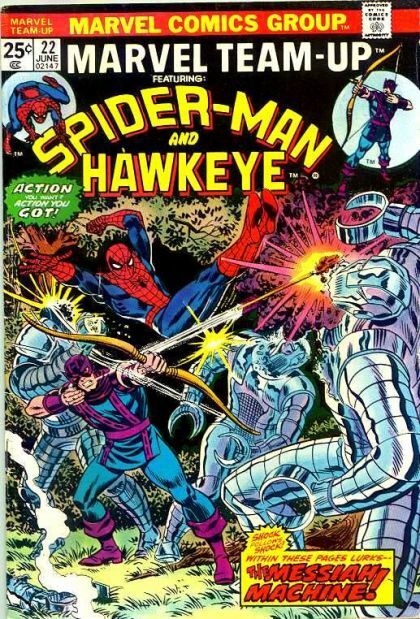 Spider-Man and Hawkeye: The Messiah Machine! Spidey is swinging through New York when Hawkeye decides to get his attention in a less than ideal manner. Clint brings Peter up to speed on recent events, and the pair find themselves going head to head against Quasimodo, the Living Computer!